Longman English Dictionary Browser is a freeware for Windows 7 with which you can search meaning of the selected text just from right click. Michael Uno has developed this tool to search meaning of the selected text with Longman English Dictionary Browser. This is a web browser designed exclusive to Longman English Dictionary Online. It is a ZIP download, the file is about 1 MB in size. This Article Has Been Shared 3799 Times! 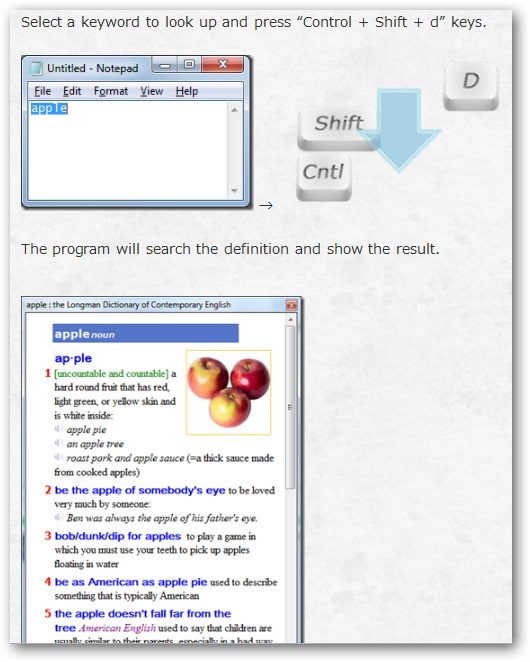 Cite this article as: Abhishek Ghosh, "Search Meaning of Selected Text with Longman English Dictionary Browser," in The Customize Windows, July 21, 2011, April 24, 2019, https://thecustomizewindows.com/2011/07/search-meaning-of-selected-text-with-longman-english-dictionary-browser/.